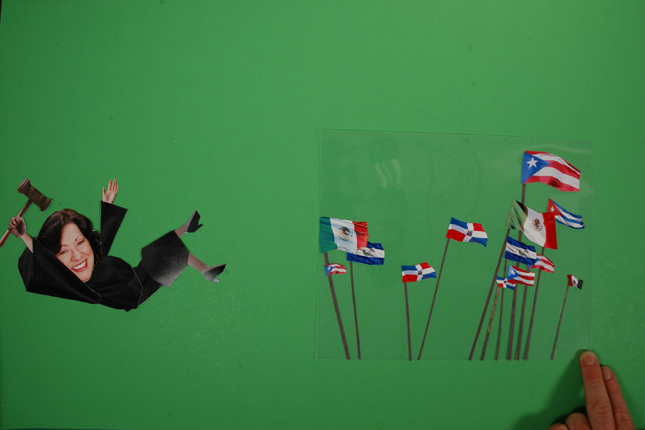 This is another shot that combined paper cut-out character animation with a live-action background. 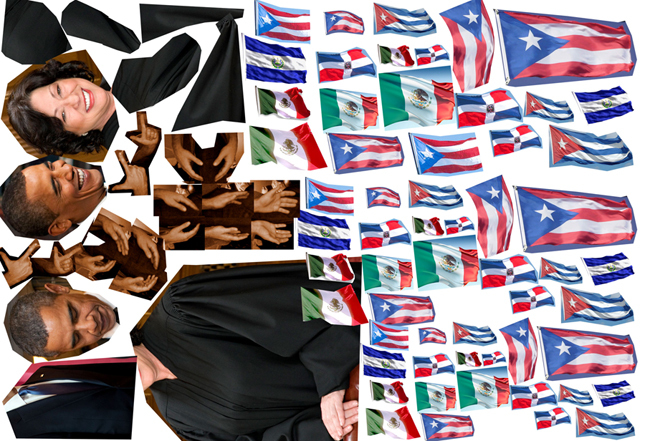 Here’s the print sheet for the Sotomayor assets as well as the character and flags underneath the down-shooter You’ll notice some of the Obama Nobel Prize assets tucked on there as well. Below that are some sample camera moves taken on the iPhone of the track up the stairs. Mike built an awesome little set! This entry was written by paulhanges and posted on December 27, 2009 at 4:13 pm and filed under 2009 Year in Review. Bookmark the permalink. Follow any comments here with the RSS feed for this post. Trackbacks are closed, but you can post a comment.